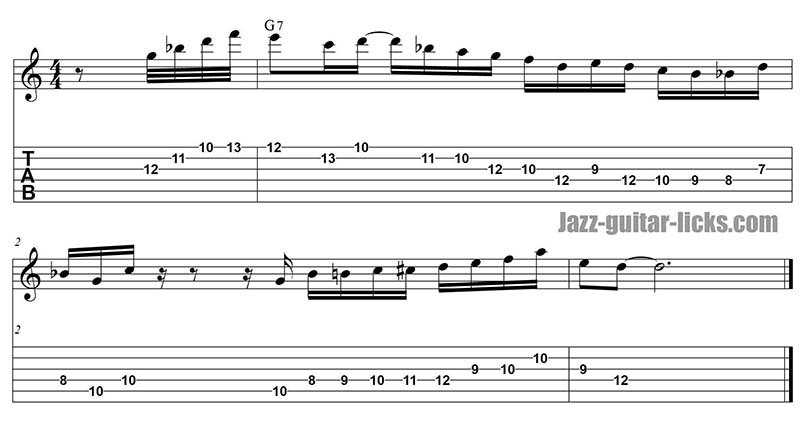 The mixoblues scale is a combination of the minor blues scale and the Mixolydian scale. It is used to play over dominant 7th chords (7, 9,#9, 7sus4, 13, 7b5, 7#11, 13th). This is a George Benson bluesy jazz lick from "Last train to Clarksville" a cover of the Monkees, an American rock band.